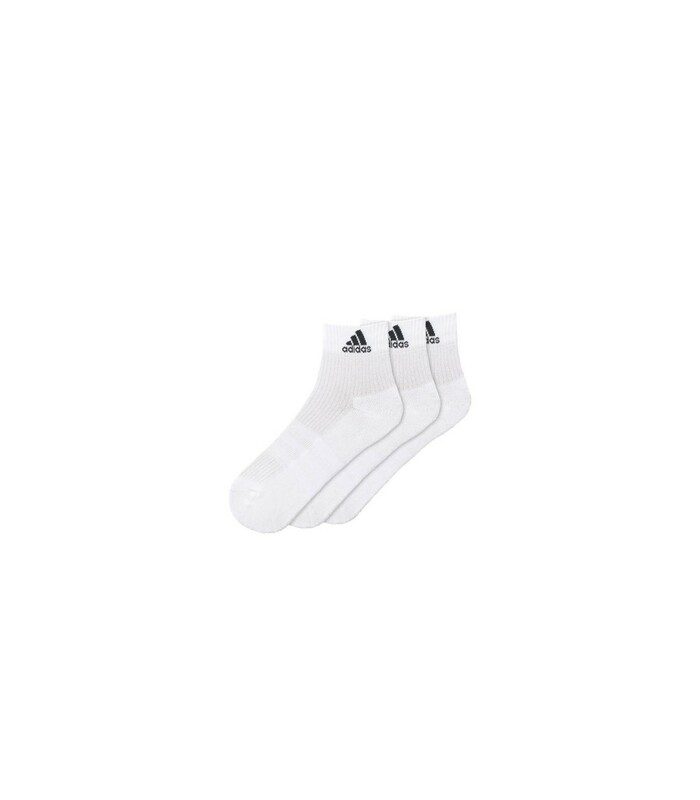 Protect your feet and play serenely with the white Adidas squash socks. They can be associated with all your squash outfits. 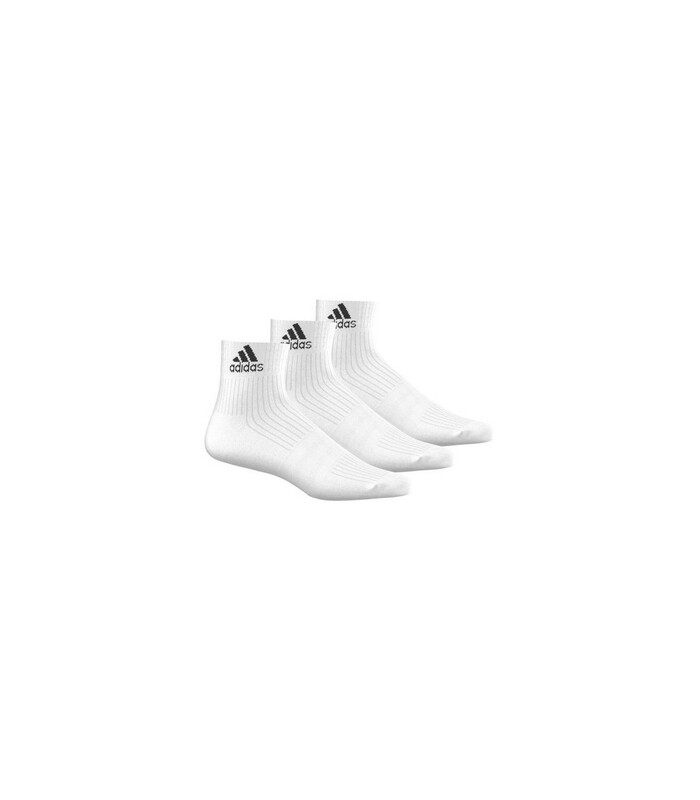 Play with style and comfort with this pack of 3 white Adidas squash socks. They are pleasant to wear, breathable and offer you a highly appreciated comfort during the squash sessions. With their white color and the black logo, the Adidas squash socks can be combined with any of your outfits. These squash socks are ideal for your squash sessions. With their elastic band, they maintain very well your feet and limit frictions and blisters. The Adidas squash socks provide you a good ventilation for your feet and absorb your sweat very quickly, providing you optimal playing conditions. Sold in packs of 3 pairs, these squash socks are very affordable and can make the difference in a squash match.